Reservation sales agents typically deal with the public through telephone inquiries. They answer calls on the only published telephone number available to the public. They handle inquiries about ticket fares, sales and bookings, flight schedules, seat availability and connecting flights, transporting animals, airline policies, government regulations, departure and arrival times, tours, car rentals, hotel accommodations, and reserve seats and cargo space for customers. Agents recommend services that fit each customer's requirements and must be familiar with routes and schedules of other airlines. They also handle any miscellaneous questions and needs that customers have. The reservations sales agent operates computerized reservations equipment, keeps record of reservations. Reservation sales agents are generally never seen by the traveling public and usually do not require a uniform. Sales centers are in operation 24 hours per day and thus offer a wide variety of work schedules. These positions may or may not be located near an airport, and most airlines have numerous centers located throughout the United States, and abroad. Applicants must have graduated from high school and be at least 18 to 20 years of age, depending on the airline. Although airlines offer on-the-job training, one or two years of training in airline operations at schools offering such courses, or experience in public telephone contact work, is preferred. Accuracy and speed on the job are essential. Experience with computers and computer programs specifically geared to reservations is often required. At least one year of prior experience in public relations work, preferably in sales, is needed. College may be considered as a substitute for prior work experience. Air cargo reservations agents may need some experience in shipping operations. Although reservation sales agents are generally never seen by the traveling public, strong communication and telephone skills are essential. A good telephone voice, proper English usage, and the ability to "project" oneself over the phone are necessary. Applicants must be willing to work shifts. The typical starting salary range is approximately five to ten dollars per hour. 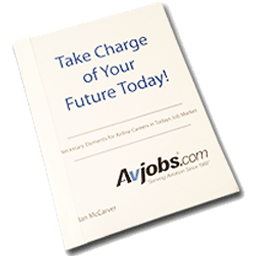 A reservations sales agent may advance to training or supervisory positions. Supervisors monitor how other agents handle customers' inquiries. The handling of "executive accounts" and the accounts of firms with special "vacation packages" offered by the airline are jobs reserved for the more experienced and higher paid agents. The employee may transfer to a job of ticket agent. Reservations work is a principal route to a management position for the persistent worker since turnover, due to shift work, is high. Promotion opportunities are frequent. Makes reservations for passengers, explain rules and gives quotes and fares. How does one prepare for this career? (Training, certificate, degree, etc.) Have a customer service background, High School diploma. You do not always have a set schedule, and the pay. How is math used on a daily basis? Please provide an example. Most things are computerized but you do have to determine taxes on tickets. Around $10.00 per hour but it depends on the company.